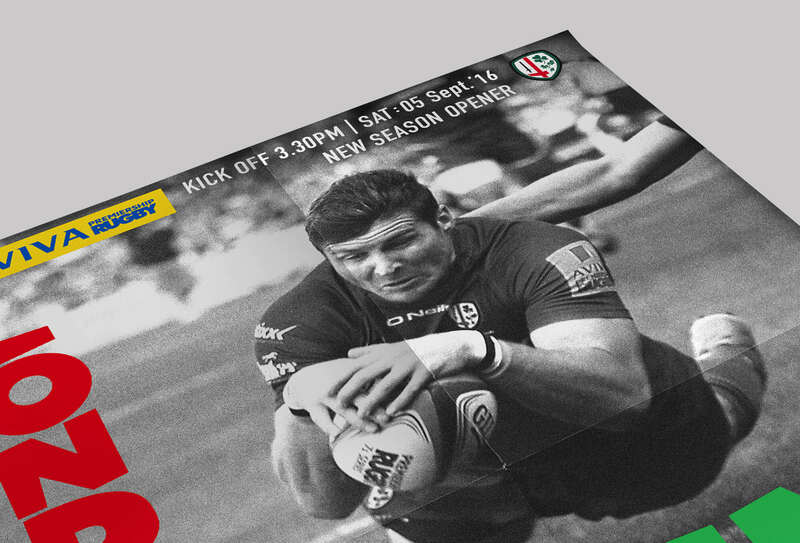 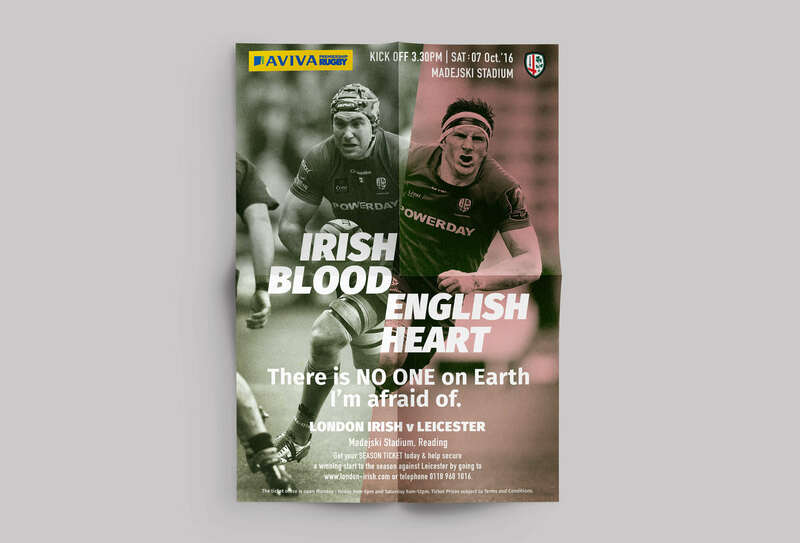 To meet the brief for a London Irish design tender Shine Box created three posters, the first poster campaign would run throughout the year using different players and supporters the second and third posters would be used for individual games in the season. 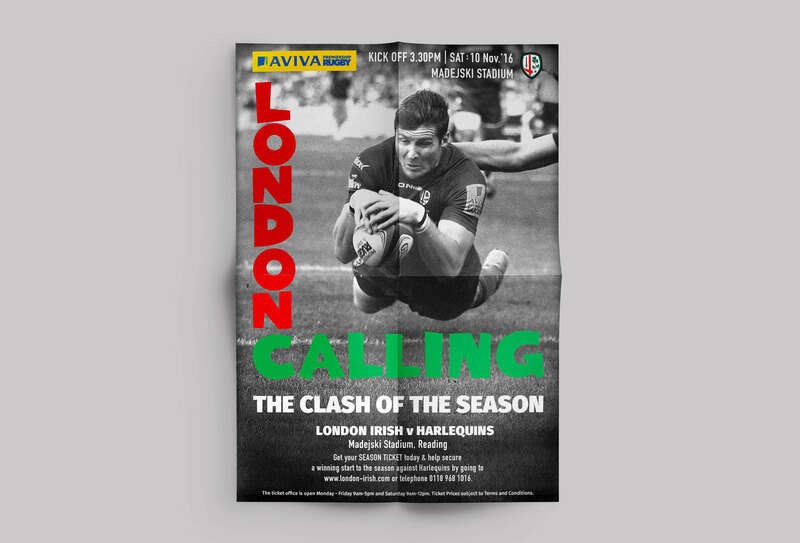 The goal of the first campaign is to encourage the clubs current supporters to buy a London Irish season ticket and at the same time attract new supporters to the club. 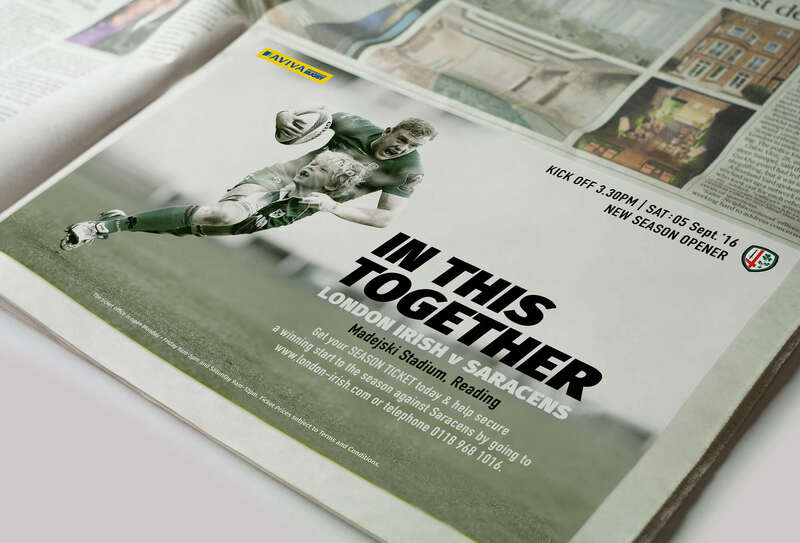 The campaign hopes to do so by making the supporters feel like a vital part of the clubs success with the team and supporters as one under the tagline "In This Together". 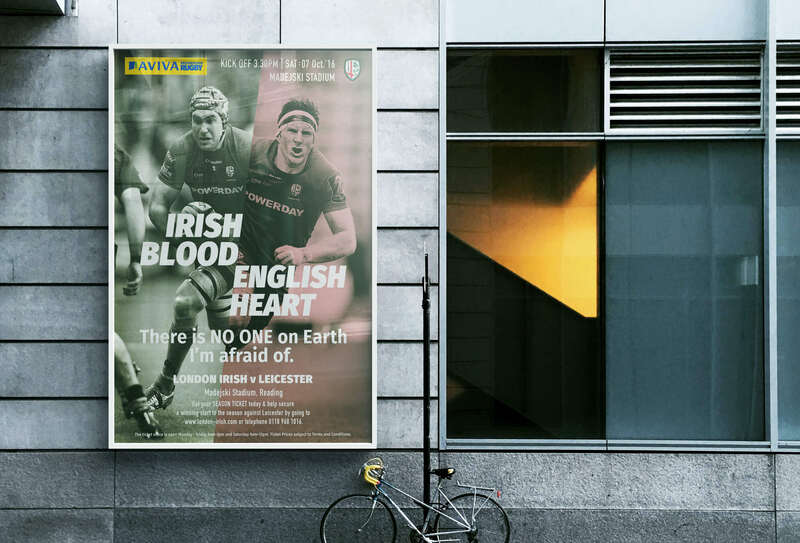 The second poster could be used for any game during the year but would be especially suited for a big match near the end of the season where points are vital for both teams. 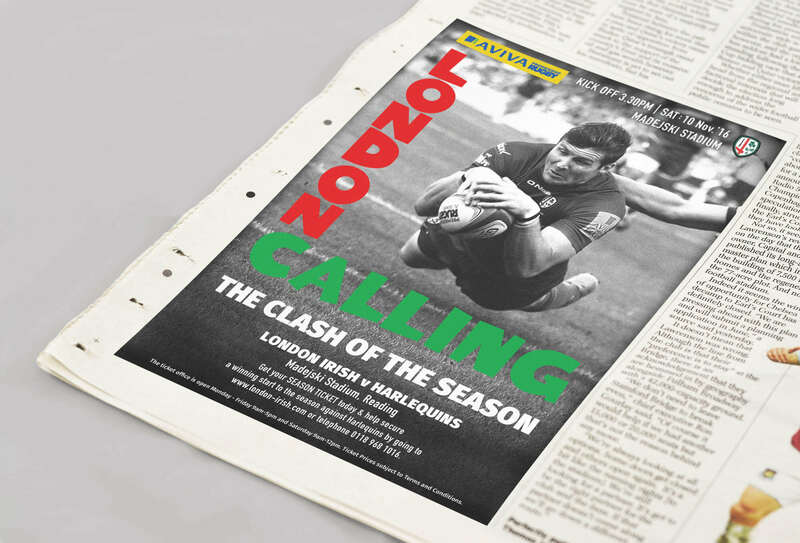 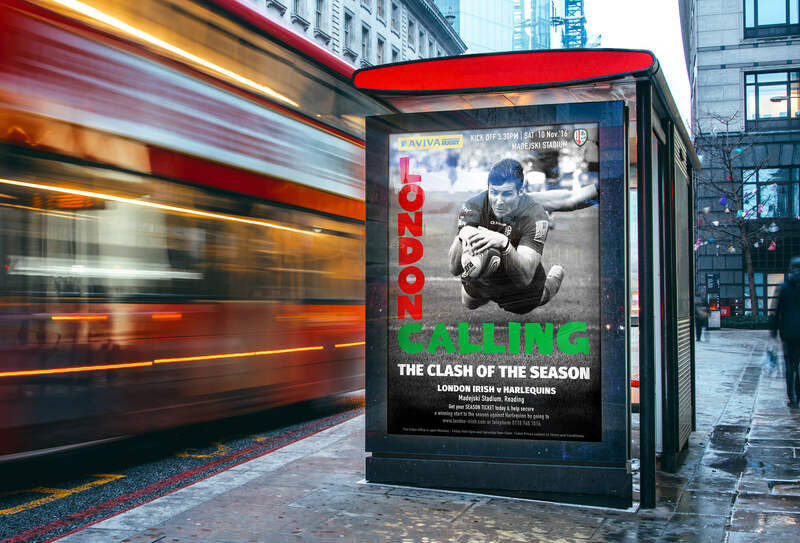 The poster pays homage to the classic cover of The Clash's album "London Calling" and then completes the circle using the tagline/pun "The Clash of the Season". 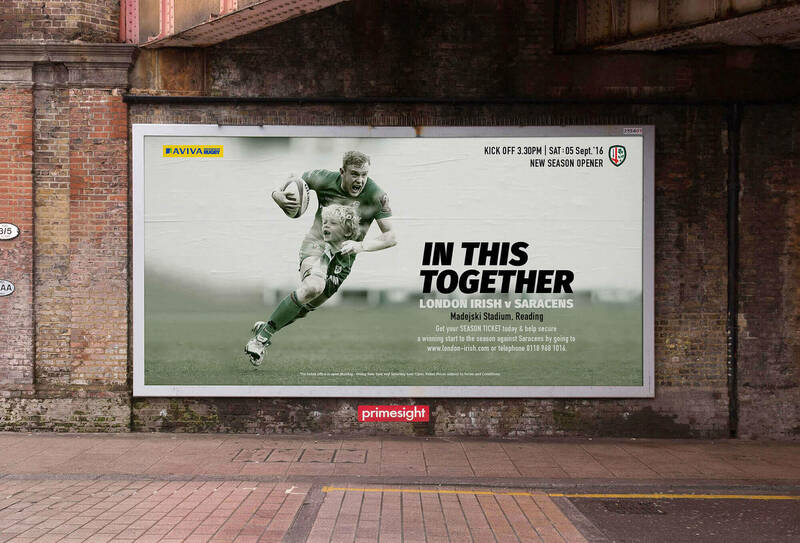 The third poster showcases London Irish unique heritage among the premiership clubs. 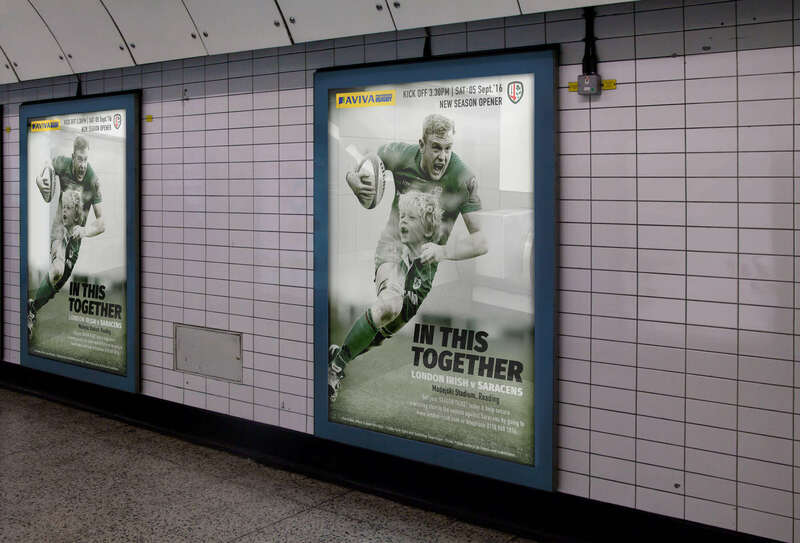 The campaign uses the lyrics of the song "Irish Blood, English Heart" by the singer Morrissey who himself is of Irish descent. 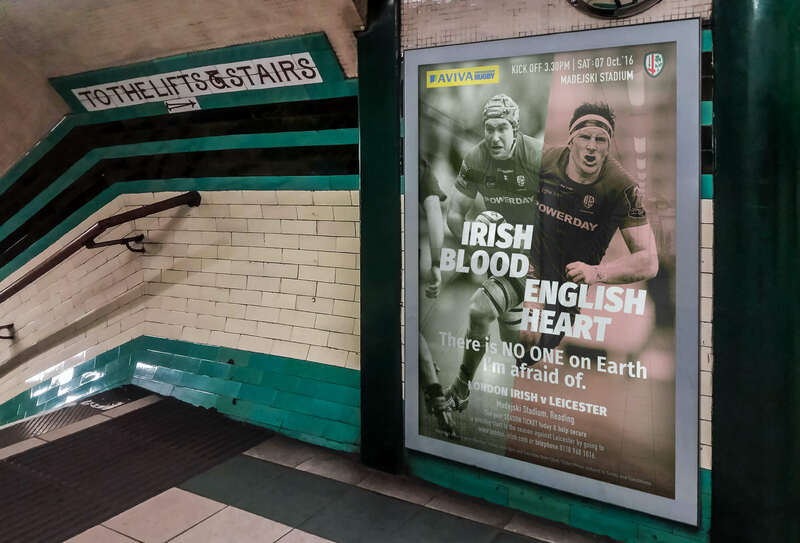 "Irish blood, English heart, this I'm made of. 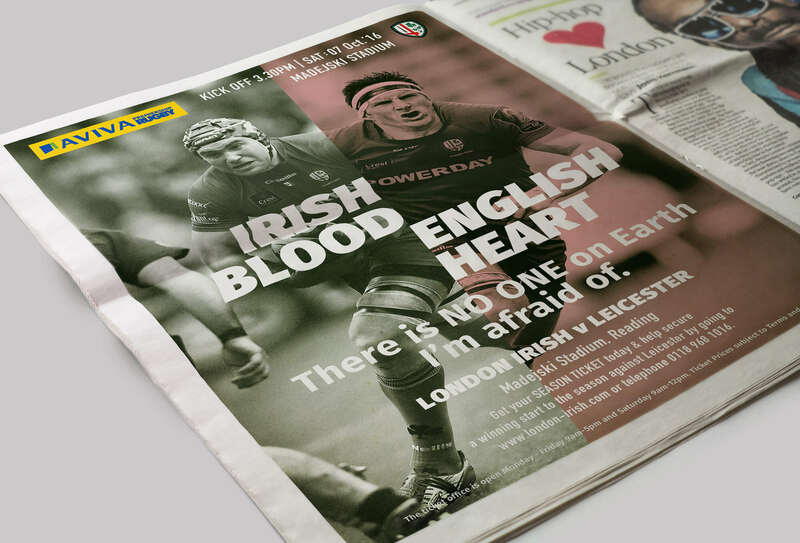 There is no-one on earth I'm afraid of." 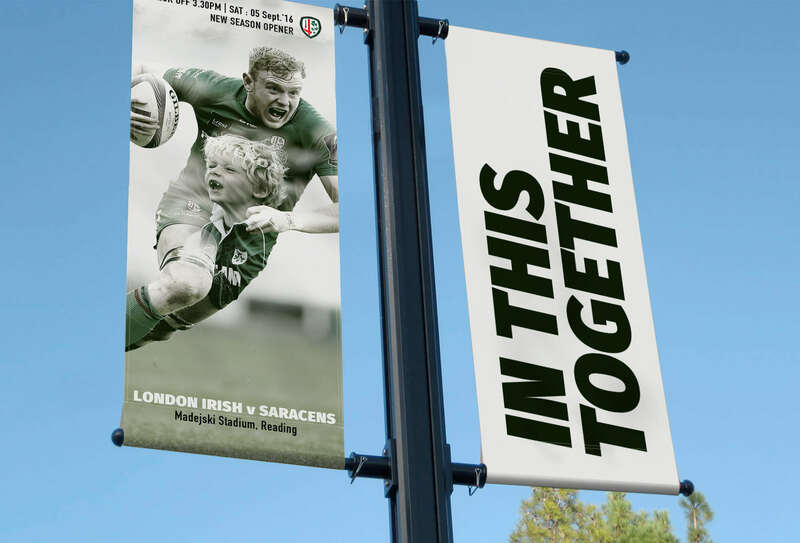 The lyrics of the song fit perfectly with the roots of London Irish, the two great traditions combining to become unbeatable, illustrated in the design with both player appearing to be joined together as one unstoppable force.